Top LASIK surgeons and recognized refractive and cataract surgery experts listed at Trusted LASIK Surgeons made brought their fellow surgeons up-to-date on the latest developments in vision correction surgery, cataract surgery, and ophthalmology in general at the recently concluded American Academy of Ophthalmology (AAO) annual meeting in San Francisco, California. Dr. Richard Lindstrom, Dr. Shachar Tauber, Dr. David Huang, MD, Dr. Randy Epstein, Dr. William Trattler, Dr. James Salz, and Dr. Elizabeth Yeu, made presentations of their research, taught courses, trained other eye surgeons and ophthalmology residents, and served as participants and moderators on panels at the recently concluded AAO meeting. Trusted LASIK Surgeons is an online resource for consumers seeking better vision through LASIK Surgery, Cataract Surgery and other refractive surgery procedures. Trusted LASIK Surgeons screens all LASIK surgeons based on experience, professional accomplishments, and premier patent care to ensure only highly qualified LASIK and vision correction surgeons are listed in its Trusted LASIK Surgeons Directory. Many of these eye surgeons are also expert cataract surgeons. Trusted LASIK Surgeons, Inc. (Trusted LASIK Surgeons) is pleased to present some of the significant contributions made by surgeons profiled in its LASIK Eye Surgeon Directory at the recently concluded Annual Meeting of the American Academy of Ophthalmology (AAO) and the International Society of Refractive Surgeons (ISRS/AAO). This annual meeting of the AAO is the largest gathering of ophthalmologists and eye care professionals held in the world. Over 13,000 ophthalmologists, technicians, and industry representatives attended the meeting. Dr. Richard Lindstrom, Dr. Shachar Tauber, Dr. David Huang, Dr. Randy Epstein, Dr. William Trattler, Dr. James Salz, and Dr. Elizabeth Yeu, all professionally recognized LASIK, Laser vision correction and cataract surgery experts, were among the numerous surgeons listed in the Trusted LASIK Surgeons Directory who made presentations of their research, taught courses, moderated and served on panels to update their fellow eye doctors at the 2009 annual meeting of the AAO. A true pioneer in vision correction surgery, Dr. Richard L. Lindstrom of Minnesota Eye Consultants, was honored with the keynote lecture at the Ophthalmology Innovation Summit where he spoke about "Anterior Segment Innovation: The Next Five Years". In addition, Dr. Lindstrom, a LASIK and refractive expert serving patients in Minneapolis and throughout Minnesota, shared his expertise through several courses and numerous presentations regarding laser eye surgery, cataract surgery, glaucoma, intraocular lens implants (IOLs). Dr. Lindstrom served on the faculty for a laser refractive surgery course to members of the AAO, International Society of Refractive Surgeons (ISRS), and the American Society of Cataract and Refractive Surgery (ASCRS). He also presented a "Video Symposium of Challenging Cases in Cataract Surgery" and presented his experience and finding at the "Spotlight on Cataracts: Clinical Decision Making with Cataract Complications" at the Glaucoma and Cataract Surgery session. Springfield, Missouri LASIK surgeon Shachar Tauber, M.D., who practices at St. John's Clinic - Eye Specialists, was heavily involved in educating his colleagues at the AAO Annual meeting. Dr. Tauber was an instructor for 3 courses on refractive, corneal and cataract surgery to his fellow surgeons and residents. Titles included "Laser Refractive surgery for Ophthalmology Residents," "Controversies and Complications of Endothelial Keraoplasty," and "Phachoemusification Lab for Ophthalmology Residents." Invited participants such as Dr. Tauber shared their refractive experiences and outcomes using the Allegretto Wavelight laser attended an interactive presentation at the Alcon Allegretto Wavelight Laser User's Meeting. At the Ziemer Femto LDV Femtosecond Laser User's Meeting, Dr. Tauber was also invited to present his surgical findings using the Ziemer LDV Femotsecond laser. Both the Allegretto Wavelight laser and the Ziemer LDV Femotsecond laser are used for LASIK and other laser vision correction surgery procedures. Dr. Shachar Tauber, who is actively dedicated to improving eyesight for those less fortunate, attended the annual board meeting in his role as Medical Advisor of Unite For Sight, a non-profit global organization that empowers communities worldwide to improve eye health and eliminate preventable blindness. Los Angeles LASIK and refractive surgery expert Dr. David Huang, Associate Professor of Ophthalmology at the Keck School of Medicine of USC and Director of the Doheny Laser Vision Center gave an invited lecture where he presented research on "Anterior segment imaging: Surgical Guidance" at the Ocular Imaging Joint Session of the Pan-American Association of Ophthalmology ("PAAO") and served as a co-instructor for a course entitled "Imaging of the Anterior Segment of the Eye." Imaging of the anterior segment of the eye (the cornea) is important to do both before and after a laser eye surgery procedure to ensure a safer procedure and get more optimal results for those patients who have special risks. In addition, Dr. Huang presented research on the subject of "Fourier-domain optical coherence tomography in retinal diseases." Chicago Corneal Expert and LASIK surgeon Randy J. Epstein, MD, CEO of Chicago Cornea Consultants and Professor of Ophthalmology at Rush University Medical Center in Chicago participated in 6 presentations. These included three original lectures, one panel discussion, and two instructional courses. Titles included a "Breakfast with the Experts" presentation entitled "Mitomycin-C (MMC): When and How To Use It" and a lecture entitled "MMC for the Prevention of Corneal Haze Following Refractive Surgery" as part of a course entitled "Risk factors, Diagnosis, and Treatment of Refractive Surgical Complications". In addition, Dr. Epstein was co-author of a paper entitled "Acanthamoeba endophthalmitis following penetrating keratoplasty for Acanthamoeba keratitis", which was presented at the pre-AAO Ocular Microbiology and Immunology Group (OMIG) meeting. He was a panelist for the "Refractive Surgery Original Papers" session, and a lab instructor for a course entitled "Management of Astigmatism in the Cataract Patient". Finally, he presented a talk entitled "How To Be Spectacularly Successful With Premium IOL's" at the Alcon Laboratories education booth. Dr. Epstein is one of the pioneers in the use of MMC for the prevention and treatment of corneal scarring in association with certain refractive surgical procedures, having co-authored the first article on this topic in human beings. Dr. William Trattler, Director of Corneal Surgery at the Center For Excellence In Eye Care, gave two lectures at the International Society of Refractive Surgery (ISRS) Annual Meeting in front of more than one thousand surgeons from across the globe. Dr. Trattler's first lecture focused on optimizing the criteria for patients considering LASIK. In particular, his lecture was aimed at educated surgeons in the selection criteria that are important for patients to maintain long term vision success with LASIK. Dr. Trattler's second lecture focused on the vision results of patients undergoing cataract surgery with accommodative intraocular lenses. In his study, he evaluated patients with a high definition wavefront analyzer with the purpose of identifying parameters that led to the best visual results with accommodative intraocular lenses. 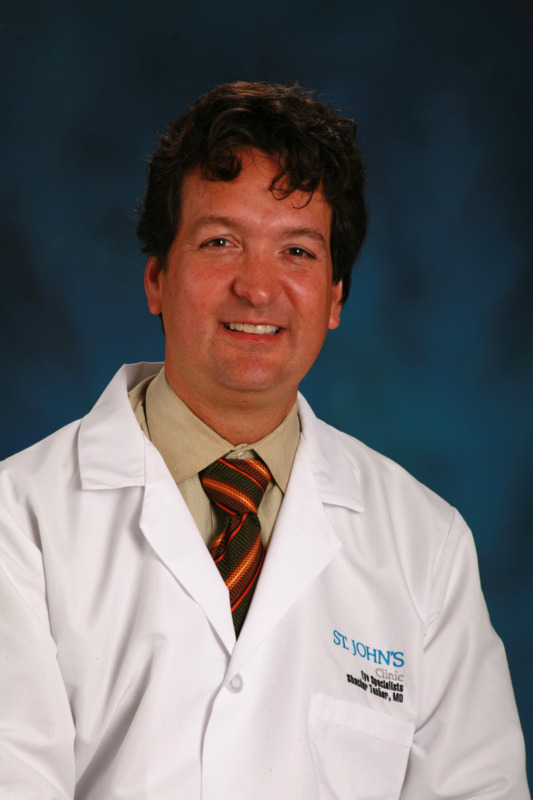 Dr. Trattler, a LASIK and vision correction expert serving patients in Miami and throughout South Florida, was also the primary author on a poster entitled "Refractive Outcomes with Advanced Customized LASIK", which documented that with custom ablation and laser-created flaps, patients are now achieving unaided vision of greater than 20/20 vision in more than 70% of patients. Kerry Solomon, MD of Charleston, South Carolina, Colman Kraff, MD, of Kraff Eye Institute in Chicago, Illinois, Terry Kim of Duke Eye Center in Durham, North Carolina, and Vance Thompson of Sioux City, South Dakota, all surgeons listed in the Trusted LASIK Surgeons Directory, were among the other authors of this paper. Dr. James J. Salz of Laser Vision Medical Associates, a top LASIK, refractive and cataract surgery expert from Los Angeles, California, served as a moderator of a press conference which updated the media on recent advances in cataract eye surgery, where he also spoke about Toric and Aspheric lens implants (IOLs). Dr. Salz, also made a presentation at the Marco booth on the use of the Marco 3D wave instrument for preoperative examinations for both LASIK and cataract eye surgery patients. Dr. Elizabeth Yeu, who practices at Baylor Vision and serves as an Assistant Professor of Ophthalmology at the Cullen Eye Institute, Baylor College of Medicine, Department of Ophthalmology, contributed to the annual Academy of Ophthalmology meeting as an Instructor in the Laser Refractive Surgery laboratory course. She also presented on a panel for a lecture course entitled, "Cornea and Anterior Segment Disasters: Bringing Them Back From the Precipice," where Dr. Yeu demonstrated the surgical management of the loose crystalline lens with sutured capsular tension rings. Dr. Yeu treats patients in Houston, Texas seeking LASIK and other vision correction surgery, as well as cataract surgery. According to the CEO of Trusted LASIK Surgeon, James J. Salz, MD, "one of the many highlights of the AAO meeting regarding LASIK was the continued development in femtosecond lasers for the creation of LASIK flaps. There are now at least three companies offering these lasers and they are faster and more reliable than ever and this allows for safer procedures for patients. The conference also emphasized the widespread adoption of corneal cross linking for treatment of keratoconus and post LASIK ectasea. Also significant was the presentation at an AAO press conference by Dr. Buddy Culberston, a Professor of Ophthalmology at the University of Miami, concerning advances in cataract surgery. Dr. Culbertson spoke about the next advancement in cataract surgery involving the femtosecond laser. This is the same type of laser used by LASIK eye surgeons to make LASIK flaps," added Dr. Salz. "Dr. Culbertson showed videos of the laser making precise incisions into the eye for the entry wound and for correcting astigmatism with limbal relaxing incisions, as well as perfectly formed openings into the anterior cataract surface (capsulorexhis) and softening of the hard central core of the cataract (nucleus) to make its removal easier. The lasers used for this procedure are not yet available in the United States but they are being tested by three U.S. based companies on patients outside the U.S. Hopefully, it will be approved for cataract surgery soon. Since most, of the LASIK surgeons in our directory also perform cataract surgery and are already familiar with the femtosecond laser for LASIK, consumers can find an expert cataract surgeon in the Trusted LASIK Surgeons directory who will be informed about this new advanced cataract technique." The refractive eye surgeons listed and profiled in the Trusted LASIK Surgeons Directory are among the most experienced LASIK and refractive surgeons. Our directory includes many of the true pioneers in vision correction surgery, not just in LASIK eye surgery, but other procedures such as lens implants (IOLs), phakic implants, conductive keratoplasty, and cataract eye surgery. Trusted LASIK Surgeons, Inc. (Trusted LASIK Surgeons) is a premier LASIK, laser eye surgery, refractive eye and cataract surgery directory service whose primary mission is to assist consumers in finding the best and most qualified and experienced LASIK and vision correction surgeons in their local area in the United States. To accomplish this, Trusted LASIK Surgeons uses a unique screening process where each prospective LASIK eye surgeon must meet the minimum required qualifications set by Trusted LASIK Surgeons. These qualifications for these doctors are based on experience (not just in LASIK but complete refractive care), research (including FDA approval studies for manufacturers and academic appointments at major universities), publications and lectures (to their peers, not to the public via infomercials) and patient care standards (treating other eye professionals and managing complications from patients first operated on by someone else). All refractive eye surgeons listed at Trusted LASIK Surgeons have qualified, been accepted, and have subscribed to our services. For more information on why we believe consumers interested in LASIK should consider an eye surgeon listed in the Trusted LASIK Surgeon's directory, please visit our website at http://www.TrustedLASIKSurgeons.com. AAO is the world's largest association of eye physicians and surgeons--Eye M.D.s--with more than 27,000 members worldwide. Eye health care is provided by the three "O's" - opticians, optometrists and ophthalmologists. It is the ophthalmologist, or Eye M.D., who can treat it all: eye diseases and injuries, and perform eye surgery. For more information, visit the Academy's Web site at http://www.aao.org. Minneapolis LASIK and Cataract Surgeon Richard Lindstrom, MDDr. Richard Lindstrom, Adjunct Professor Emeritus at the University of Minnesota Department of Ophthalmology and founder of Minnesota Eye Consultants, performs LASIK and other laser eye surgery procedures as well as cataract surgery on patients in the Minneapolis area and throughout Minnesota. Springfield, Missouri LASIK and Cataract Surgeon Shachar Tauber, MDDr. Shachar Tauber, Director of Ophthalmology Research, Cornea and Refractive Surgery at St. John’s Clinic – Eye Specialists, performs LASIK and other laser eye surgery procedures as well as cataract surgery on patients throughout Springfield and from all over Missouri. Los Angeles LASIK and Cataract Surgeon David Huang, M.D., PhDDr. David Huang, Associate Professor of Ophthalmology at the Keck School of Medicine of USC and Director of the Doheny Laser Vision Center, performs LASIK and cataract surgery on patients from Southern California, including Los Angeles, Pasadena, and San Gabriel. Chicago LASIK and Cataract Surgeon, Randy Epstein, MDRandy J. Epstein, MD, CEO of Chicago Cornea Consultants and Professor of Ophthalmology at Rush University Medical Center in Chicago, performs LASIK and other laser eye surgery procedures as well as cataract surgery on patients throughout Chicago and the state of Illinois. Los Angeles LASIK and Cataract Surgeon James J. Salz, MDDr. James J. Salz of Laser Vision Medical Associates performs LASIK and other laser eye surgery procedures as well as cataract surgery on patients throughout Southern California, including Los Angeles, Beverly Hills, West L.A, and Santa Monica. LASIK and Cataract Surgeon Elizabeth Yeu, MDDr. Elizabeth Yeu, who teaches at the Cullen Eye Institute, Baylor College of Medicine and practices at Baylor Vision, performs LASIK and other laser eye surgery procedures as well as cataract surgery on patients in Houston and throughout Texas and the Gulf Coast area.